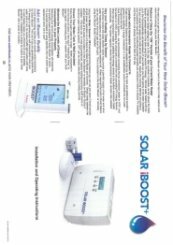 Solar iBoost+ fits quickly and neatly into your airing cupboard, simply wired between the existing fused spur and immersion heater. 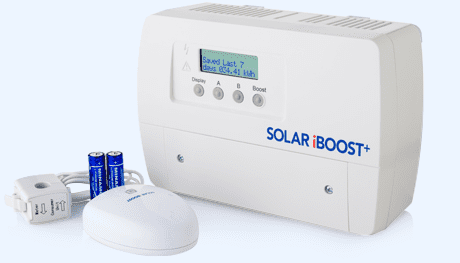 Solar iBoost+ displays real time information gHeating by Solar 1.6kWh and historical energy saving figures are seen at the push of a button. View this and more data using the optional iBoost+ Buddy home display. LEDs also give an instant visual indication of the system in operation.